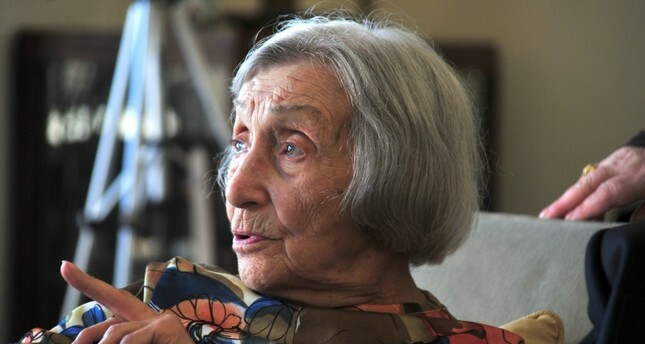 Bilun Alpan, the last surviving member of the Ottoman dynasty who was exiled in 1924, died at the age of 101 in the early hours of Thursday morning at a hospital in Lebanon's Beirut, reports said. The hospital said Alpan, the granddaughter of Sultan Abdülmecid I, died due to natural causes. On Friday, Jan. 18, following the acceptance of condolences at the Malta Kiosk in Istanbul's Yıldız Park, the Osmanoğlu family will hold a mawlid for Alpan right after the afternoon prayers. Shahzade Harun Osmanoğlu, the third generation grandson of Abdülhamid II, will also attend the religious ceremony. In 2017, the TRT made a documentary about her life, family and the exile of the Ottoman dynasty titled "Bilun: Sürgünün Son Tanığı" (Bilun: The Last Witness of Exile). Alpan was only six years old when the Turkish government issued a law forcing the members of the Ottoman dynasty to be exiled through the recounts of Ottomans who lived in Beirut at the time. She first went to France and then to Jerusalem, before finally settling in Beirut. She had been living there since 1929. The members of the Ottoman dynasty were exiled in 1924. The female members of the family were allowed to return to Turkish soil in 1952 while the male members were allowed back much later in 1974. Bilun Alpan returned to Turkey in 1989, however she was unable to find what she was looking for there.